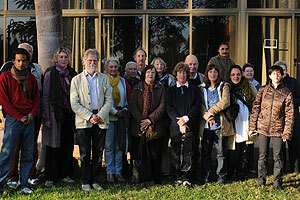 n 2009 we celebrated the launch of 'BSS in Egypt', an exciting and innovative course taught in Egypt, with daily visits to fascinating and less-visited ancient sites. This course was directed by Professor Barry Kemp, a renowned Egyptologist and Director of excavations at the site since 1977. 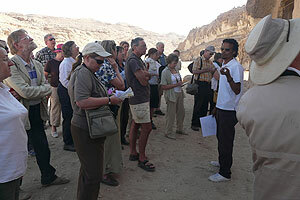 This was be a unique opportunity to hear Professor Kemp give a week of lectures in addition to guided tours of Tell el-Amarna. 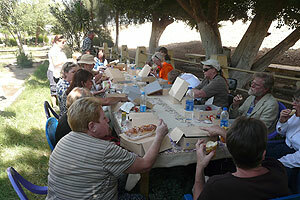 The Course Co-ordinator, accompanying the group throughout, was Lucia Gahlin, BSS Deputy Director and Egyptologist. This course was a unique opportunity to study, in the heart of Egypt, one of the most fascinating periods of pharaonic history with one of the world’s leading experts on the subject. Professor Kemp explored the most intriguing questions of Akhenaten’s reign. Was he a monotheist? Why and how did he build his new city of Akhetaten? How did the temple cult function? What did the people of Akhetaten really believe in? What was their quality of life? How did they cope with death? Why did Amarna lose its population? This course also examined the city itself: the palaces, temples, houses and gardens; and the surviving art, craft, and decoration. Professor Kemp will give lectures in the afternoons. 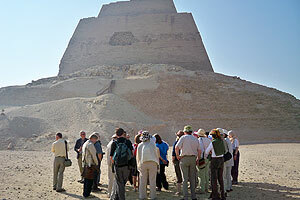 In the mornings we will visit the archaeological sites of Tell el-Amarna (two in-depth visits guided by Barry Kemp); the wonderful Middle Kingdom tombs at Beni Hasan; Hatshepsut’s rock-cut temple to Pakhet, Speos Artemidos; the remains of a 3rd dynasty pyramid, and New Kingdom temple at Zawieyet Sultan (also known as Zawiyet el-Maiyitin); Tuna el-Gebel with its Amarna boundary stela A, Ptolemaic and Roman period tombs, sacred ibis and baboon catacombs and huge Roman well; El-Ashmunein (Hermopolis Magna), cult centre of Thoth and a Coptic basilica; Old and Middle Kingdom tombs at Meir; and the Mallawi Museum. 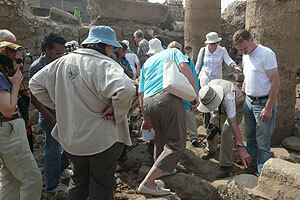 Barry shows us where THE Nefertiti bust was found. Special access to the closed site of Zawiyet Sultan. 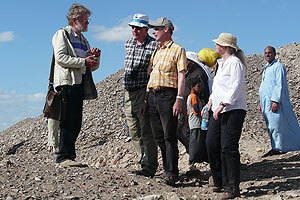 Searching for Amarna talatat at el-Ashmunein. Professor Barry Kemp is Emeritus Professor of Egyptology at the McDonald Institute for Archaeological Research, University of Cambridge. 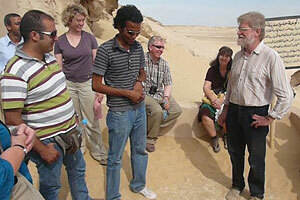 He has been Field Director at Tell el-Amarna since 1977, pioneering excavations formerly for the Egypt Exploration Society, and now as The Amarna Project supported by the Amarna Trust. His important publications include Amarna Reports, I-VI (EES, 1984-95) and Ancient Egypt: Anatomy of a Civilisation (Routledge, 2nd ed., 2006). Morning flight to Cairo. 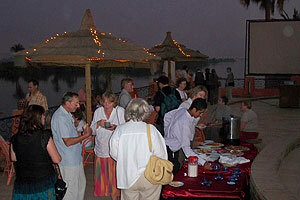 Welcome dinner and night in 4* hotel. Drive to Minya. Six nights in 3* hotel. 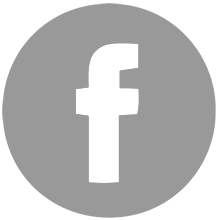 Lecture: The great idea: was Akhenaten a monotheist? 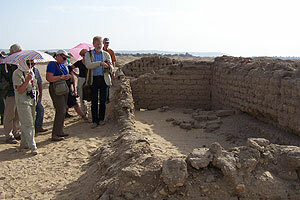 Lectures: The building of Amarna: how, from what and by whom? 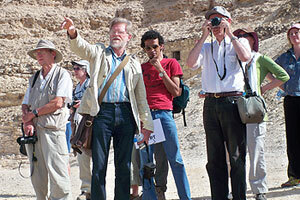 Visit Amarna to complete Barry Kemp’s guided tour. Lectures: How the temple cult worked. Streets, alleys and walled gardens. 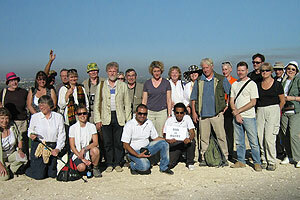 Visit Meir Tombs and Mallawi Museum. 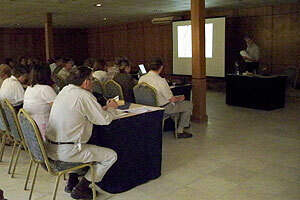 Lectures: Art, craft and decoration. The style and quality of life. 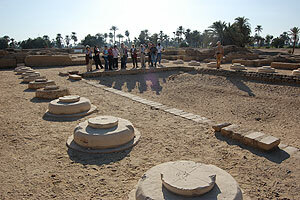 Visit Zawyet Sultan (also called Zawyet el-Maiyitin); Beni Hassan and Istabl Antar. Lectures: Busy with their hands. What to believe in, and did you have to keep it secret? 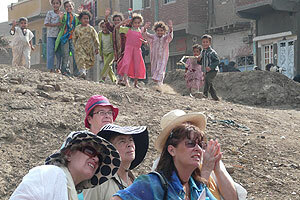 Visit Tuna el-Gebel and Ashmunein. 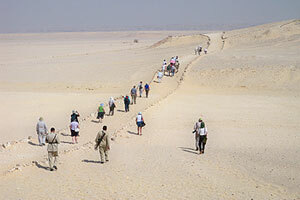 Why Amarna lost its population. Drive to Cairo and afternoon flight home.